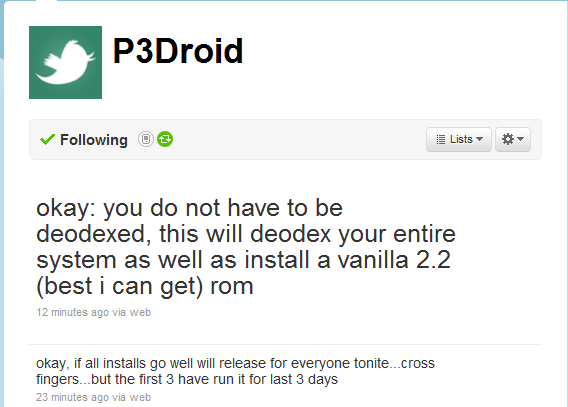 P3Droid is rolling out a “vanilla” 2.2 rom for the Droid X right now to some testers. If all goes well he plans on releasing this to everyone tonight! This should be a pretty basic build getting rid of all things MotoBlur and leaving you a clean running phone. Hence the name Tranquility. 1. This is for Rooted users only! 3. You must be using Koush’s Bootstrapper for ClockworkMod recovery. We’ll let you know when it’s released! Check back soon!